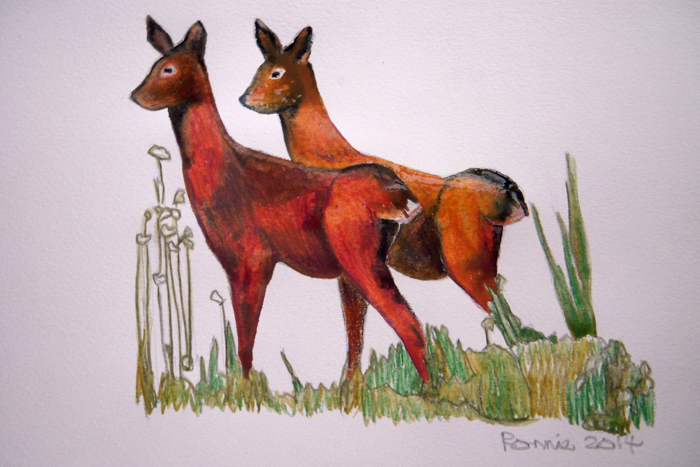 These studies of woodland animals are based on photographs I have taken of visitors to my garden. 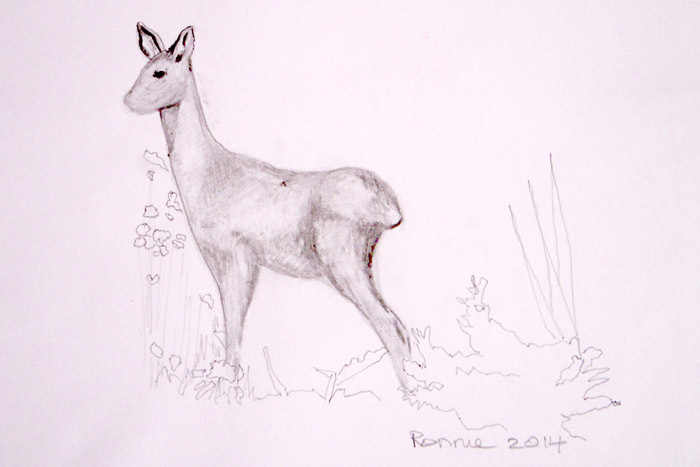 As with the Animal Studies, I start with a pencil drawing of the subject, then do a painting of it. I then scan that into the computer and use Adobe Elements to add foreground and background from the folders of my previous work that I have stored in the computer. 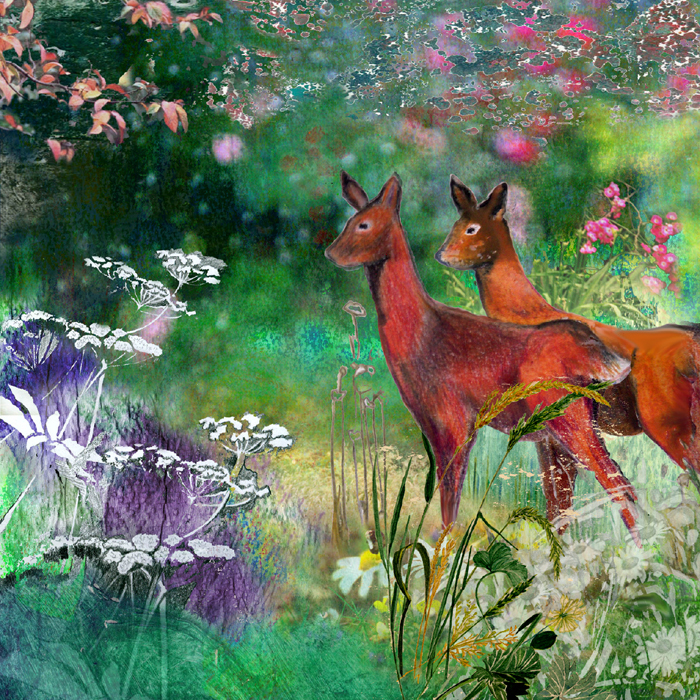 The final “digital mixed media” image is produced as a giclee print and can also be used for cards and ceramic mugs.